This is an amazing entry way by, Jan Cregier, Interior Expressions by Jan, www.interiorexpressionsbyjan.com. Every detail is thought of with Jan, this entry way with fabulous chandeliers and Asian art makes for a great first impression. 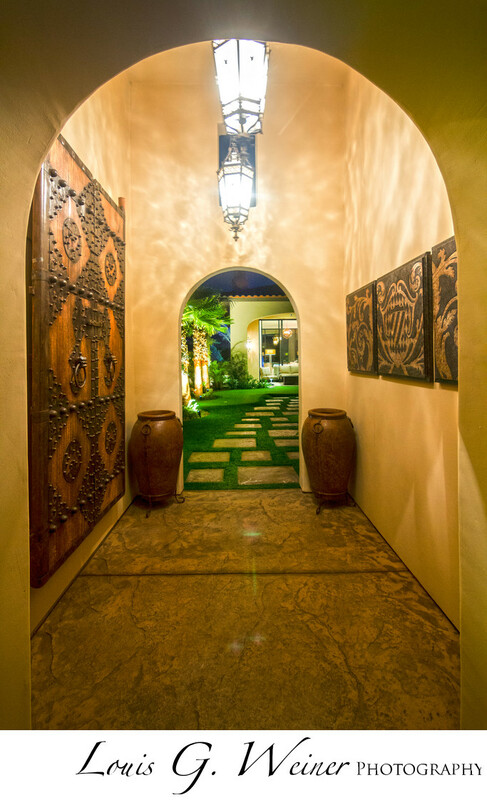 This home is in the Andalusia Country Club in La Quinta, a wonderful exclusive neighbored.